Georgia’s beloved acoustic roots, folk, and old-time outfit, Little Country Giants, quietly strike again with their fourth record, the elegant and haunting 60 Grit. Referencing the measurement of grit on sandpaper, the title reflects the stripped down, even rough, approach the band employed in making their latest album. While previous release Fists of Foam & Fury was also an understated affair, 60 Grit features the timeless songs of husband-and-wife songwriting pair Russell Cook and Cameron Federal adorned with only minimal instrumentation. It’s back to basics here with Russell’s acoustic guitar, Cameron’s trusty upright bass, and fellow band members Rob Robinson on soft percussion and Rurik Nunan (The Whiskey Gentry) on fiddle. The songs themselves tell the story, offering poignant vignettes on love and life, with most of the nine tracks clocking in under three minutes each. 60 Grit adds new favorites and instant classics to their impressive canon, showcasing the couple’s striking blend of harmonies and strong melodies. There’s a beauty on hand, but there’s also an unconcealed rawness in both sound and content. A duality, warned from even before the first note plays, depicted in Russell’s homemade, austere black and white cover art. The subtle, sweeping majesty of the songs of 60 Grit may stop you in your tracks, as the record expresses the beauty and loveliness of love. And yet, there’s a dark struggle in this collection, the shadow of love cast throughout. Russell Cook takes the lead on such highlights as opening tracks “60 Grit & Kerosene” and “Howling Cold Wind”. The first is an upbeat number highlighted by the couple’s harmonized yodels and Nunan’s playful fiddle. The second features Cook’s signature country-waltz style, a heartfelt, stark take on distance and love faltered: “It feels like the remnants of my only friend have gone and left with the howling cold wind.” Cook leads the way again on “Hello Stranger”, a midnight song exhorting a lover to stay clear of trouble: “Don’t be wandering, don’t be creeping / Be home sleeping, it’s a better way”. Despite a brokenness, the song speaks of a love that must endure: “I would ride you like a broke down engine, babe/ I can’t lose you and I never will.” “All Alone Tonight” enjoys the couple’s sweet harmony blend, and Cook’s softly gruff southern voice leads on the catchy chorus, “Sometimes hard times are the only kind you know”. Cameron’s songs, meanwhile, are yet again graceful and light. The soft and slow “I’m in Love With You (Always Have Been)” is a gorgeous, rustic piece, featuring her beautiful, airy vocals. Nunan’s fiddle echoes the plaintive quivering and yearning of the lyric, “But it’s you I know when I walk out the door/ in your arms I belong like a bird and a song”, as Cameron and songbird merge. “Be My Love” shares the ethereal quality of her songs. A pretty, longing melody accentuated by Russell’s soft harmony and the floating fiddle line. “Dreams always carry me away/ like a fool I go/ hoping you will follow/ hoping you will be my love.” Another standout, “Boy From Birmingham” is a dynamic jazzy melody and performance. As most of Cameron’s songs, the tune feels like an old classic, at home in a smoky jazz club in any of last ten decades. The record closes with Cameron’s mysterious and tense “I Don’t Think”, a foreboding number akin to a dark passage from Poe. One is left, amidst the minor-key creeping guitar and Nunan’s hypnotic fiddle lines, in suspense, as Cameron sings “Are we leaving tomorrow or are we leaving today?/ Some fools choose to follow some fools choose to stay”. Though four years have passed since their previous record, Little Country Giants have been active from their northwest Georgia base. In the past year their music was featured in two award winning films: nine Little Country Giants songs serve as the soundtrack to “GROW!”, a documentary about Georgia’s organic farmers, and they can be heard in the Athens zombie film “Pushing Up Daisies”. Meanwhile, Russell performed in the musical ensemble and cast for the world premier run of “Ghost Brothers of Darkland County” at Atlanta’s Alliance Theatre this spring. The musical play was written by Stephen King and scored by John Mellencamp, with musical direction by T. Bone Burnett. 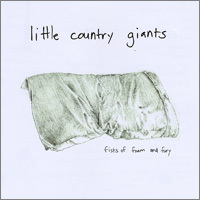 Little Country Giants formed in 2004 following years of travels and skillfully honing their songwriting craft together from Athens, Georgia, to San Francisco, and back to the north Georgia mountains. 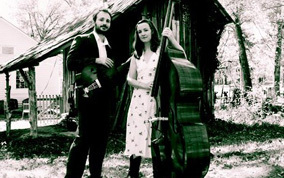 They have been voted “Atlanta’s Best Folk Act” by Creative Loafing, and were awarded the “Emerging Artists of the Year” award by the Rome Area Council for the Arts in Rome, Georgia. The band has performed at some of the finest folk venues and festivals, including Pickathon, Americana Folk Festival, Club Passim, and Eddie’s Attic. Little Country Giants are touring extensively in support of 60 Grit, continuing to wow audiences across the country. Remarkably, on 60 Grit, as is Little Country Giant’s authentic custom, every song is a true expression in words and sound. One feels as if invited into a home, a private place of turmoil and peace. Hear the ache of love and living. Hearts on fire, calling out from the Giants’ farmhouse somewhere in the mountains of north Georgia. 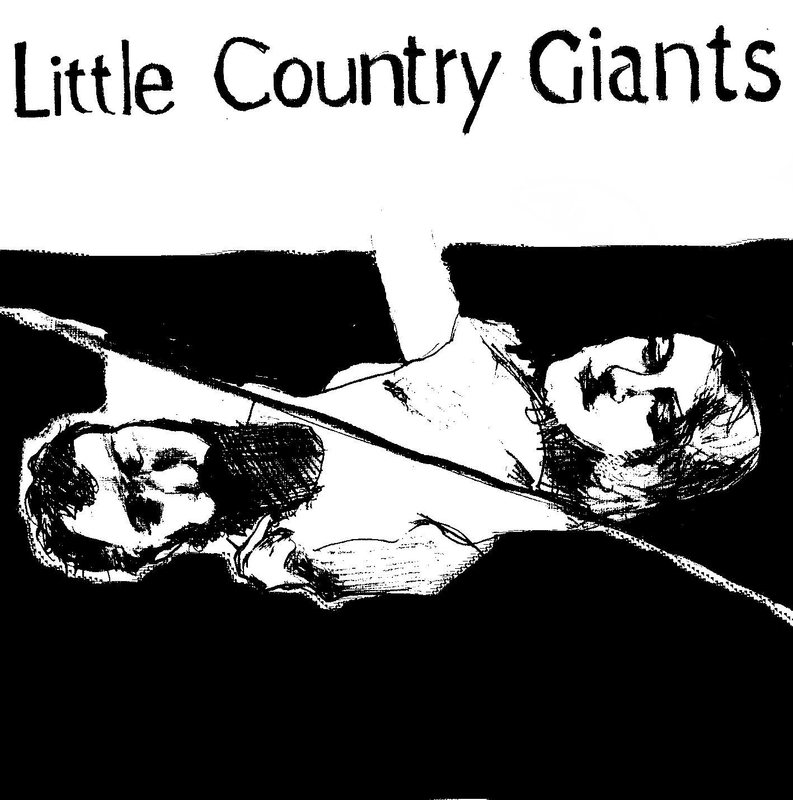 Little Country Giants return with an elegant and haunting nine-song collection of timeless songs showcasing the band’s striking blend of harmonies and beautiful melodies. Songwriters Russell and Cameron Cook write acoustic southern Bluegrass, Jazz, Old-time, Folk, and Traditional Country songs that will melt your heart and warm your soul.